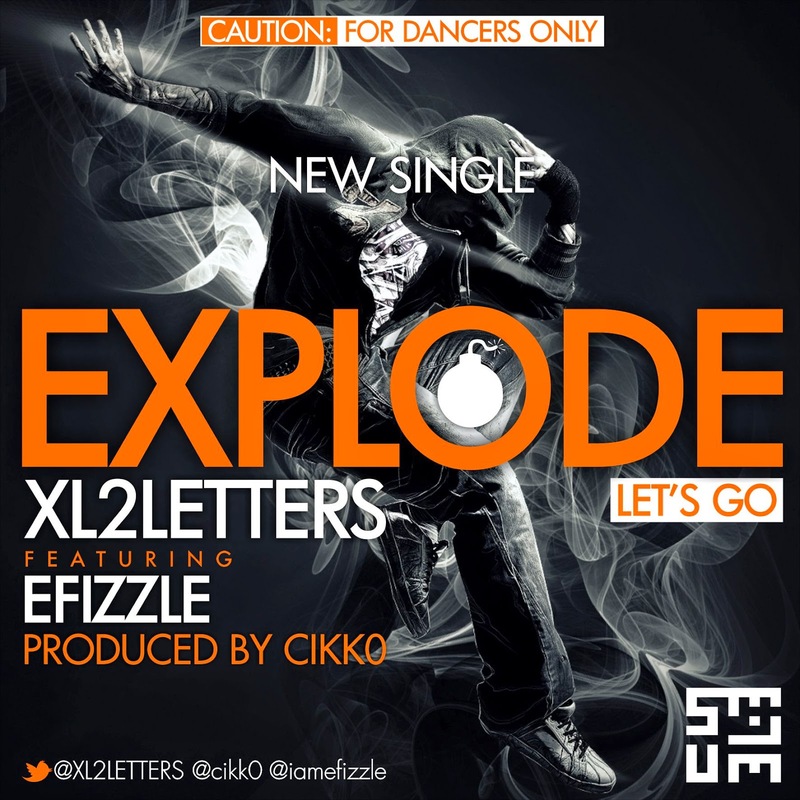 XL2LETTERS comes back yet again with another fresh single of THE SE7EN EP titled EXPLODE [LETS GO]. XL2LETTERS reconnects with his origins as a hip hop break dancer, and produces a dance hit that all Steppers, breakers and street dancers would love to dance to. XL2LETTERS as always, does not slack in delivering hot lyrics bar for bar on all 3 verses. He brings a seemless blend of hip hop and dance music with a tinge of techno. The track talks about the feeling and sensations one goes through when one is filled with The spirit of God, or is inspired and energised by the spirit. Within every person there is something that we have on the inside that we urge to release and impact the world with. We have been blessed with so many gifts and talents and it is only natural to express these gifts. He also features the beautiful and fast rising gospel act EFIZZLE, who delivers an unforgettable vocal rendition of the Chorus and the bridge. The track was produced by Ace Producer Cikk0, who was also responsible for the revolutionary sound on the Maverixx Ep by Rapsody which was release last year. Cikk0 does a stunning job creating a beat with a rich blend of beats and cinematics. The track would premier at 12 noon on Monday, 7/7/14. The track is the 2nd Single off THE SE7EN EP whose release date has been shifted from the 7/7/14 to 7/10/14.